London: My four day trip to London together with three girlfriends was the only traveling I did this summer and I loved every second of it. You can read all the details and see all the photos here. My favorite memory from this trip is without a doubt the photo of me as a potential Gryffindor at Platform 9 ¾.
I’ve shown this one before, but I just love it! Spending time with my family and friends: As I mentioned earlier, I haven’t really been home for an extended period of time for more than two years now and although I keep close contact to my parents, I haven’t even seen some family members in quite some time. The same applies for old friends that I know from high school. So I enjoyed spending time with them, catching up, celebrating my birthday, and having barbecues with everyone. Also, staying with my parents, I was able to help them with smaller and bigger things around the house, support my mother in taking care of our older family members, and talk about everything and anything with them, including my future plans. By the way, these plans are another reason why I wanted to spend so much time with my family: Who knows where I will move to next year? Decluttering my life and closet: I love getting rid of things. I always try to keep spaces as clean and empty as I can, so it was a big pleasure for me to declutter my belongings that are still at my parents house. I cleaned out my closet, sold clothes and books online, and brought the rest to my local church for giving away to homeless people. This was another step to prepare myself for leaving although it might seem early to some. I did it the same way last time I moved abroad: A year in advance, I started getting rid of things, minimizing my belongings and saving money by selling and not buying new stuff. Studying for my GRE, preparing applications: This might not sound like an actual highlight and although the studying is slow and exhausting and even boring sometimes, I am just so excited about the step I am taking. 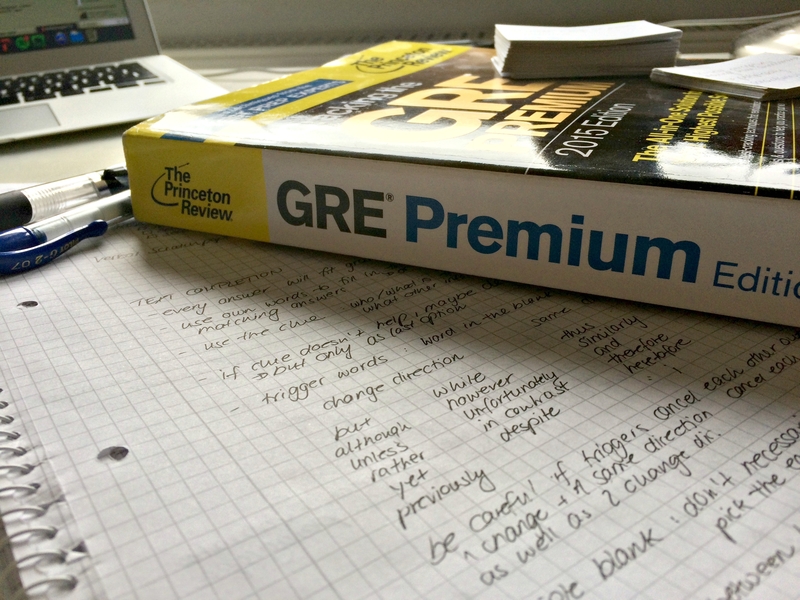 Preparing for the GRE and working on my applications is the first step towards my goal of studying abroad again. I am planning to take the GRE general test in about a month (not sure if this is too early or not) and then I can try and talk about my preparation. Stay tuned for a blog post about my study material etc. Starting this blog: I am so happy, that I finally took this step. I’ve been thinking and dreaming about it for almost two years by now and I was sad that I didn’t manage to keep an updated blog while I was living abroad. I even have some blog posts that I prepared a long time ago (for example How studying abroad changed me). But I finally started and I hope I can keep it up. Me time: As I mentioned earlier, I was very stressed out and exhausted from the whole last year. I wrote my Bachelor Thesis, moved across the country a couple of days later and instantly started my Masters Program and I haven’t had time off ever since then. That’s why I decided to take a break, even from traveling and to just return to my parents house for a couple of weeks. This way I was able to relax, sleep in, catch my breath and have a lot of me time. Getting massages, going on some bike tours, and being able to do things I haven’t had the time for made my summer perfect. Me time also included time to finally read a book on my new kindle. Explore Berlin more and enjoy the sun and the daylight as long as it lasts. The last winter here has been depressing, so I want to make the most of the summer and explore more parks, lakes, and cute cafes. Maybe even go to the “Bundesgartenschau” (Kind of a gardening festival, where one city creates a big new park and presents it beautifully), which is nearby this year. Grow this blog: I haven’t been able to post regularly on this blog and I know that it will be even harder once I’m back in my daily routine of juggling work and school, but I want to post more regularly. I’m planning on uploading once a week with alternating travel and lifestyle posts. And hopefully, I will be able to set up a cute blog design soon. What are your highlights of the summer? What have you learned and experienced? What are your plans for the rest of the summer? Good for you for taking some me time this summer! 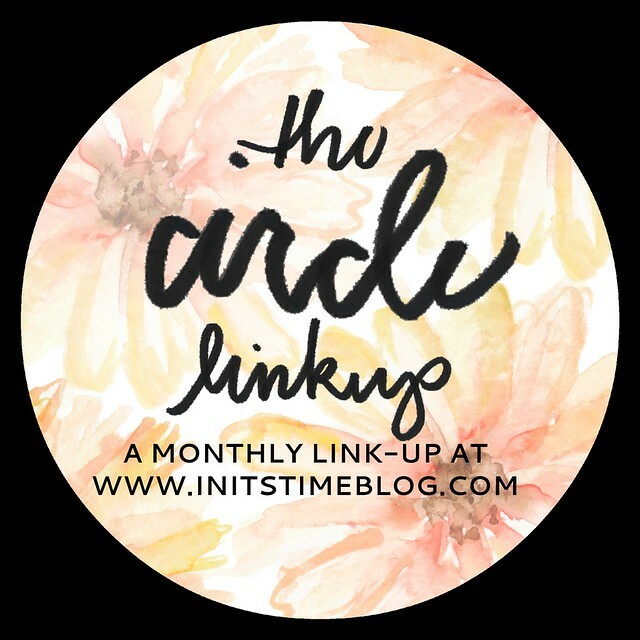 I always thought it was one of those things that only moms did, but the older I get (and the busier I get), the more I realize it’s necessary for me to do, too. 🙂 Sounds like a very full summer! 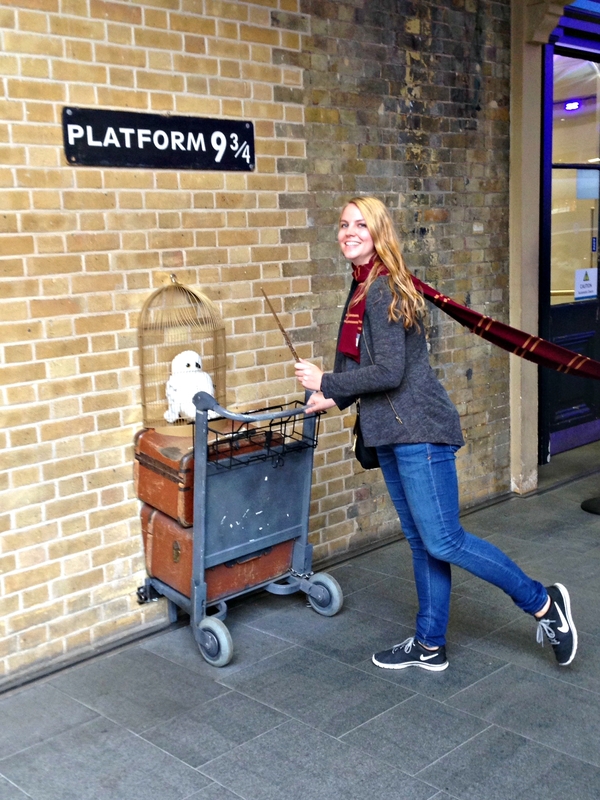 Such lovely summer activities – love the platform 9 3/4 photo! Will you come de-clutter my closet? Seriously I can think of other ways I’d rather spend the time hehe. Haha, you might not be super happy about me helping you there 😉 thanks for stopping by! I am kind of jealous of your trip to London. It is one of my bucket list trips, but one that will take a while before I can actually go on. Glad to hear that it was just as awesome as you had hoped.